Save on your next flight from KKB to MUE when you book through Travelocity. Need a last-minute flight to Kamuela? Travelocity offers discount airfare no matter when you book, even on popular routes such as Kitoi Bay Airport to Waimea-Kohala Airport. Whether you need a direct or indirect flight, you can trust Travelocity to provide you with the best prices for KKB to MUE flights. Explore Kamuela with Travelocity's Travel Guides to find the best flights, cars, vacation packages and more! 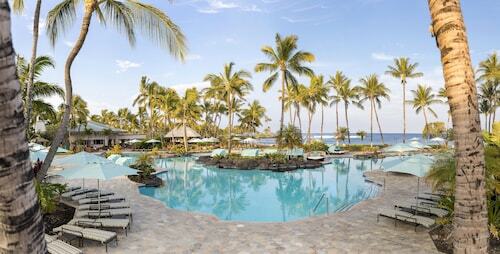 This 32-acre oceanfront resort is set on the sunny Kohala Coast of Hawaii's Big Island. The resort features water sports, including kayaking and stand-up paddleboarding, along with 10 tennis courts and golf. Situated in Kamuela, this golf vacation home is 0.6 mi (1 km) from Parker Ranch Center and 1.7 mi (2.7 km) from Hamakua Coast. Waimea Park and Anna Ranch Heritage Center are also within 3 mi (5 km). 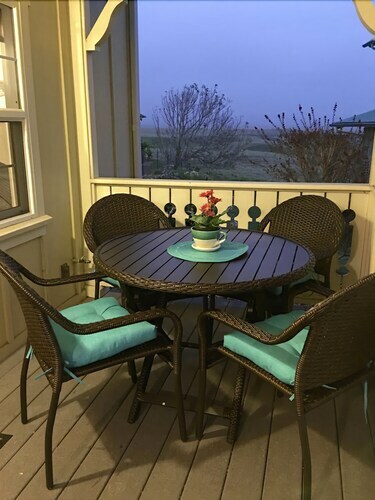 Situated in Kamuela, this vacation home is 0.7 mi (1.2 km) from Parker Ranch Center and 1.8 mi (2.9 km) from Hamakua Coast. Waimea Park and Anna Ranch Heritage Center are also within 3 mi (5 km). Situated in Kamuela, this hotel is steps from Waimea Park and Parker Ranch Center.